At TS Coachworks we are determined to provide the highest quality workmanship and products possible. We use carefully selected materials for all of our patch panels and kustomizing work. All of our products are made in house and are designed to fit your application like a glove. We can provide many services for your existing vehicle like chops channels rust repair and other kustom body modifications. 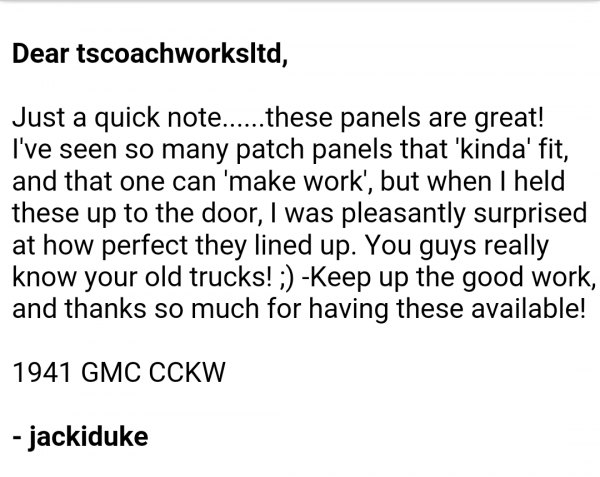 We also offer our own line of patch panels and can make kustom panels for your project. For after all, this is our passion, not just a job. Do not hesitate to drop us a line with any questions you may have.